Michigan's gray wolf population is estimated to be 687 animals. The recovery goal for the population is between 250-300 wolves. Gray wolves in the western Great Lakes were recently taken off the endangered species list. Now, the state of Michigan is responsible for managing the wolf population. Michael Nelson is a professor of environmental ethics at Michigan State University. He’s an author of a new report on people’s attitudes about wolves in Michigan. His report is based on a statewide telephone survey conducted in 2010. "I enjoy knowing wolves exist in Michigan." "I would be likely to purchase a license to hunt or trap wolves." "The decision to hunt wolves should be made by public vote." 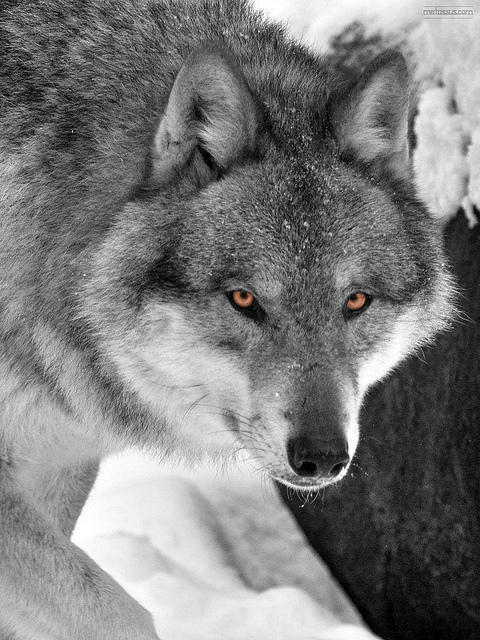 "Wolves should only be hunted if biologists believe the wolf population can sustain a hunt." Michael Nelson says overall, Michiganders tend to value wolves. 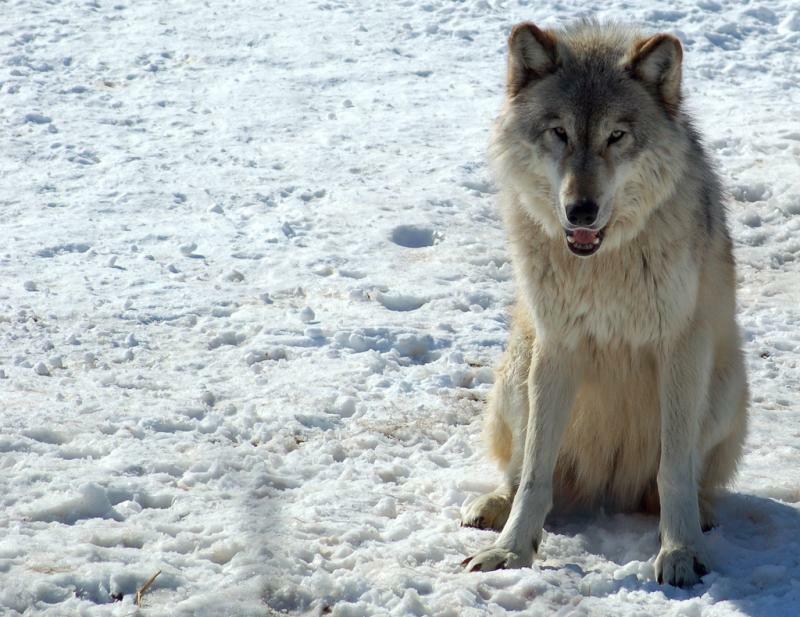 "Generally, we found out that people enjoy knowing there are wolves in Michigan. This varies from place to place. We also found out that in general, the people of Michigan really support wildlife biology, wildlife science as an important way to make decisions about wolves." But he says people’s feelings about wolves change based on where they live in the state. "I think we all realize that Michigan, like many other states, has different kinds of cultures within the state. And of course, we also know that people who live in wolf territories have different ideas than people who don’t, and people who live in rural areas have different ideas than people who live in urban areas. Generally, we found that there was less support for wolves in the U.P. as opposed to the Lower Peninsula. Overall, 82% of Michiganders enjoy knowing wolves exist in Michigan – that’s how we phrased that question. In the northern lower peninsula where there are wolves now, it was 82%, they were average as well. In the U.P. it was 61% of people who enjoyed knowing wolves existed in Michigan." Michigan’s wolf management plan does not call for a hunting season for wolves. The state legislature would have to decide that. U.P. residents were consistently different from the rest of the state, displaying the greatest support for a public vote to decide hunting (81%) and lowest wolf value (61%). They also showed the greatest interest in hunting or trapping wolves (55%). Most of the wolves in the state live in the U.P. Interlochen Public Radio's Bob Allen reported last July that illegal wolf kills were spiking in the Upper Peninsula. He reported that wildlife officials said they could defuse the situation if they could just get gray wolves removed from the endangered species list. In the piece, we hear from the manager of the Hiawatha Sportsmen’s Club, Larry Livermore. He says in the U.P., people are increasingly convinced wolves are decimating the deer population. So - some people in the U.P. were getting fed up and wanted to have more options to deal with wolves. They wanted the state to manage wolves instead of the federal government. The wolf attitude survey was done in 2010, well before the wolves were taken off the endangered species list. I asked Michael Nelson: How do you think people’s opinions might shift now that the wolves are off of the list? "Oh, that’ll be the next great survey question. There’s really something important to discover. It was kind of fortuitous that we gave our survey just before the wolves came out, just before they made it to the Lower Peninsula. So a survey in a year or two could really reveal some interesting things." No other wildlife species, it seems, causes such extremes of emotion as the wolf. Some people want to protect it at any cost. Others want to shoot the animal on sight. And in Michigan’s Upper Peninsula illegal wolf kills are spiking. Wildlife officials say they can defuse the situation if they can just get gray wolves removed from the endangered species list. Interlochen Public Radio's Bob Allen filed a report with The Environment Report on the controversy in Michigan's Upper Peninsula. 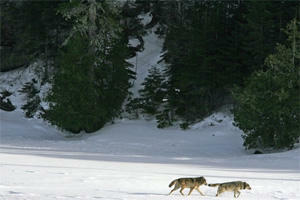 Allen reported that the return of the gray wolf in the U.P. more than 20 years ago didn't cause concern, but that's changed in the last few years as some hunters are convinced wolves are decimating the white tail deer population. 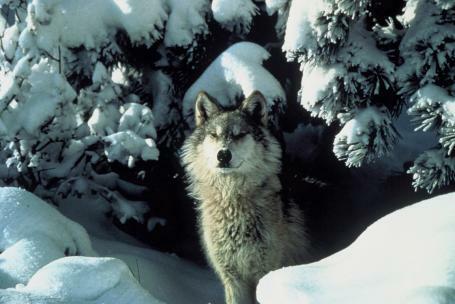 On December 21, 2011 Secretary of the Interior Ken Salazar announced in Washington that Gray wolf populations in the Western Great Lakes states of Minnesota, Michigan and Wisconsin have exceeded recovery goals and are stable enough to be removed from the Endangered Species List. Gray wolves in Michigan are no longer on the federal government’s endangered species list. The decision shifts the responsibility for managing wolves to Michigan wildlife officials. It also means that farmers and pet owners can shoot wolves that attack livestock or dogs. Ed Golder is with the Michigan Department of Natural Resources. Even though wolves in Michigan have been removed from the federal endangered species list, Golder said wolves remain on the state's “protected species” list -- and it is still illegal to hunt or trap wolves that don’t pose an immediate threat to dogs or livestock. The gray wolf was once nearly extinct in the Upper Midwest. There are now nearly a thousand gray wolves in Michigan, mostly in the Upper Peninsula. *Correction - an earlier version of this story said "wolves remain on Michigan’s “threatened species” list." The animals remain on the state's protected species list. The copy has been corrected above.